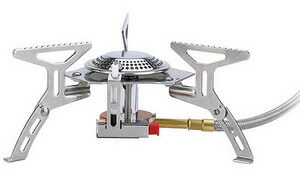 Unique, tough and steady, this stove is able to cook your meals in any rugged place. 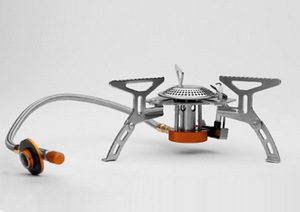 This stove can hold massive loads, and its ultrawide flame spreader makes for efficient cooking. With one of the lowest gravity of all remote stoves, this Fire-Maple FMS-105 stove provides very steady & strong support of the cookware with its thick stainless steel support legs. The cookware is easily held in place with the tooth design of the pot supports. 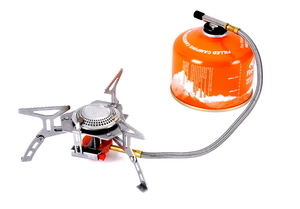 The design of the burner top makes for efficient burning and help to save fuel. The fine wheel adjusting knob ensures precise adjustment of the flame. 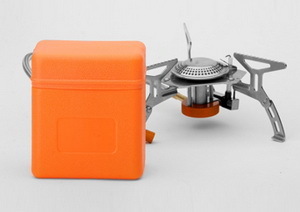 The stove folds small and packs into a small hard plastic case. 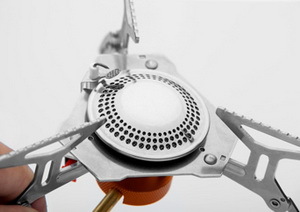 With piezo-electricity starter, firing up the stove is easy at the click of the finger..